Author Charles Ray is pleased to announce the release of his new mystery novel, Dead Men Don’t Answer. When a young woman’s fiance, supposedly dead for six months, answers his telephone, she turns to DC private investigator Al Pennyback for help. Al finds himself hip deep in corporate fraud, greed, international terrorism, and manipulation of people in DC’s African immigrant community. Just when he thought the puzzle of the dead man at the other end of the phone couldn’t get any more complex, he learns that a ghost from his past, from a military operation that went badly awry, has come back to haunt him, and the victim might in fact not be a victim, but a killer. 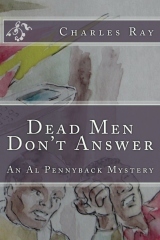 Dead Men Don’t Answer was released on December 15, 2012 and is currently available from Amazon.com and Amazon UK. 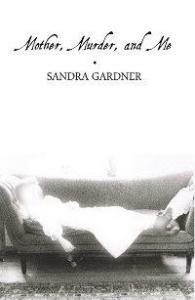 Today we have a sneak peek from author Sandra Gardner’s amateur sleuth mystery, Mother, Murder, and Me. When Marabella Vinegar finds her psychotherapist’s bloody corpse, she becomes the NYPD’s perp of choice. Her recently deceased mother – the bane of her existence in life – comes back to help get her out of trouble and find the real killer. Things get even worse when, thanks to Marabella and her mother’s sleuthing, someone tries to kill her. Then another body is found and Marabella is thrown in jail, awaiting trial for two murders. After a second attempt on Marabella’s life, she’s terrified that she’ll be corpse number three . . . Mother, Murder, and Me is available through Amazon.com, Amazon UK and Barnes & Noble. 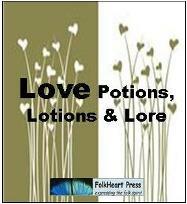 This February, FolkHeart Press is publishing a free e-book: LOVE Potions, Lotions & Lore. Authors interested in participating can supply stories, visuals, essays (also reprinted material or book excerpts) about love of self, family, country, spirit, art, food, romantic love (family friendly), etc. While no one is financially compensated, all contributors will get biography and website/book links in the book and FolkHeart Press will be doing PR for it. The deadline is January 18, 2013. For more information, please visit their website.